Eamonn Casey was born on 24 April 1927 into a family of 10, in Firies, County Kerry. He was raised mostly in Adar, Co. Limerick, and was educated in Limerick and in St Patrick's College, Maynooth. Casey was ordained a priest for the Diocese of Limerick on 17 June 1951. He is remembered as among the most energetic and colourful clerics of his age, who had a deep passion for social justice. He became well known while working in London, in Westminster Archdiocese, to source adequate housing for thousands of Irish emigrants in the British capital in the 1950s and 1960s by founding the 'Shelter' organization, and also by setting up a loan scheme to assist young Irish emigrants. He was appointed Bishop of Kerry on 17 July 1969. After his appointment as Bishop of Kerry he became the first chairman of Trócaire the Irish Catholic Church's development aid agency in 1973. He held this position until 1976, when he was appointed Bishop of Galway and Kilmacduagh and apostolic administrator of Kilfenora. While in Galway, Casey was seen as a progressive. It was a significant change in a diocese that had been led for nearly forty years by the very conservative Michael Browne (Bishop from 1937 to 1976). 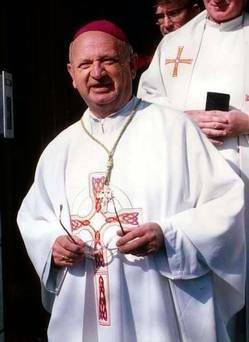 As Bishop of Galway, he helped organise the visit of Pope John Paul II to Ireland, hosting the Pontiff for a Youth Mass at Ballybrit Racecourse, and introduced Pope John Paul II at the event. 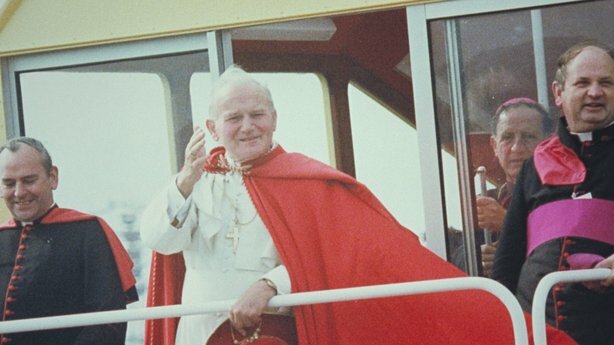 It is said that of all of the Irish bishops he was the one who impressed Pope John Paul II the most, during the latter’s historic visit to Ireland in 1979. And Casey alone had the honour of hosting a dinner for the Pope at his residence in Galway. In 1980, he bravely attended the funeral of murdered Archbishop Oscar Romero in El Salvador (assassinated by El Salvador's military regime), when the mass was attacked by death squads, killing 50 mourners. Trócaire's Executive Director Éamonn Meehan said Bishop Casey narrowly avoided injury during the attack and spent two hours administering the sacrament of the injured, in a tribute to Casey after his funeral. In 1984 he was critical of US foreign policy at the time of Ronald Reagan’s presidency, and as Bishop of Galway and Kilmacduagh, he snubbed the US President Ronald Reagan in protest at America's supply of military aid to the Salvadorean army. He was joined in his refusal to meet Reagan by the current president of Ireland, Michael D. Higgins. Reagan's administration was supporting repressive regimes and sponsoring death squads in Central America at the time. Casey was highly influential in the Irish Catholic hierarchy, and served as bishop until his resignation in 1992. 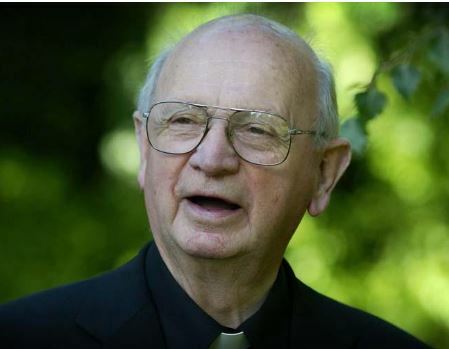 He was a friend and colleague of another highly prominent Irish priest, Father Michael Cleary. ​In 1992 it was revealed that he had fathered a son during a relationship with Ms Murphy (while he served as the Bishop of Kerry), who was the daughter of a family friend and who had come to Bishop Casey for support while dealing with the aftermath of her divorce. Peter Murphy, his son, was born in 1974. Bishop Casey resigned for personal reasons after his son became public knowledge. Bishop Casey left the country and undertook priestly work in Ecuador, which many saw as a penitential gesture. He had joined the St James Society, a Boston missionary order and worked as a curate in a poor parish in Ecuador. He worked tirelessly, taught himself Spanish so he could say Mass in tiny churches and helped raise money to build a school and a modest hospital. He was then assigned to a parish in Sussex, England, and performed his duties as a curate, and finally returned to Ireland in 2006 where he lived Beagh, in the vacant parochial house. He lived in the parish for 5 years. He was not allowed to return to public ministry or say Mass in public. In 2011 he went to live at Carrigoran Nursing Home, near Newmarket-on-Fergus, Co Clare, where he died on 13 March 2017. Eamonn worked hard in trying to achieve social justice for many causes close to his Christian belief such as the plight of Irish emigrants, the courage of the Dunnes workers protest against apartheid South Africa and the people of San Salvador who suffered brutal oppression from their Government.